2 Beautiful Awards & Give Me 3 Words That Best Describe You! You are here:Home » Unlabelled » 2 Beautiful Awards & Give Me 3 Words That Best Describe You! I received these awards from a blogger from Philippines, whom I’ve met recently. 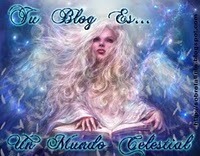 Accordingly to her, the first one's "Your Blog is Heavenly" & the second is "Your Heart is My Prize"! Wi is a vivacious gal & her blog is full of life. Take a look at her blog & you'll know what I mean. Thank you, Wi of a Single Girl’s Musings! You make me SMILE! With this, I’d like to play a little game with you, my wonderful readers: Give Me 3 Words That Best Describe You! Well, it struck me that maybe it’s my turn to post this question to you. It’ll be interesting for me to find out the profile of my readers, especially those who’ve been stalking me here for a while. Wilson, u're cute & adorable, the awards or the post? Hahaha! Just kidding :) Thks for visiting! Wi, thks again for the lovely awards! Loyal? Mmmm.... u're my stalker & fan now so I truly believe that. Heehee! Xue Ren, photogenic? Gosh, I must rush over to your blog to take a look soon :) Thks for visiting! Kimby, thks! Totally agree & love it! Shirley, Congratulations for receiving the two lovely awards. I'll most definitely check out Wi's blog. Congratulation again on the awards that you'd received. Talking about 3 words best describe about myself. Erm.. Freedom (that's why love travelling), emotional (my bf said so) and friendly :D..
Nava, thks for your lovely comments! Diana, we share freedom & friendly :) Cool! Visiting S'pore? Bet it's not your 1st visit. Hope u've a great vacation here, dear! Congratulations on both awards Shirley! Well deserved! Keep going Shirley, hope many other publicity and awards will follow, am so happy for you. Three word, probably depends on who's say it ;) OK... creative, strong and hard working.